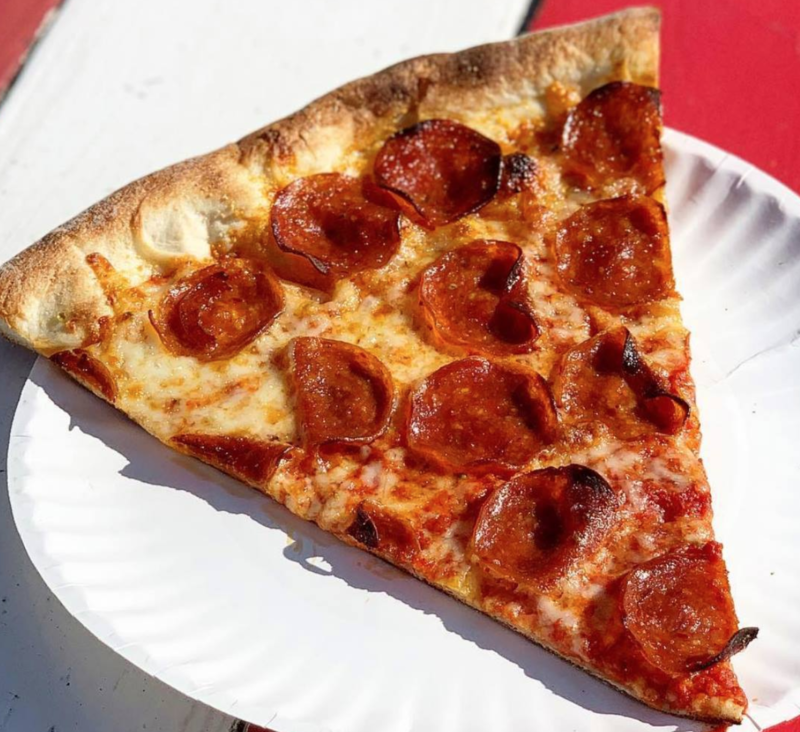 We thought we’d share the 50 best pizzas from every state in the country – our Big 7 team has searched high and low for the family pizzerias, the hip newbies and the old classics. Get ready for the feast of the year – we’ve got the 50 pizzas you simply have to try in every American state. Pizza in the United States has a long history – the first ever pizzeria was set up in New York in 1905, by Gennaro Lombardi. 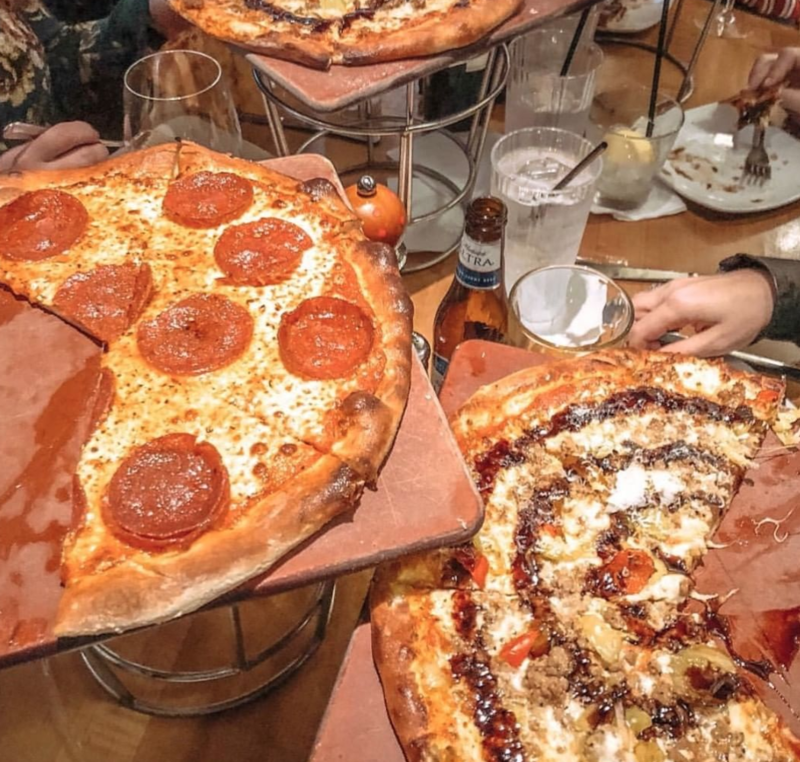 Now, there’s so many styles of pizza in the USA: Neapolitan, Sicilian, New York, Connecticut, California, Detroit, St. Louis, bar pie, deep-dish, grandma… we could go on. 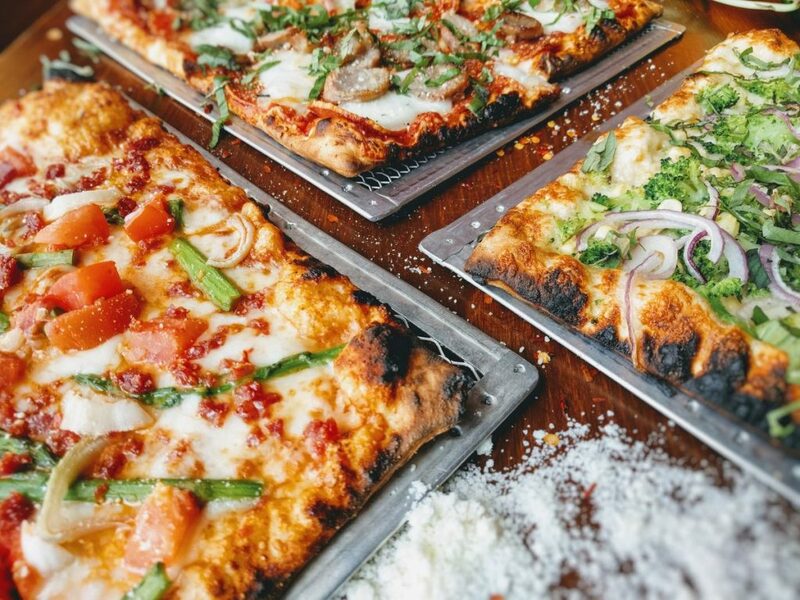 A remarkable 14% of Americans eat pizza on a daily basis, making the humble pie as close to a national dish as you’ll get in the USA. A funky pizzeria set in a former post office, this is where you’ll get the best wood-fire-blistered pies in all of Alabama. 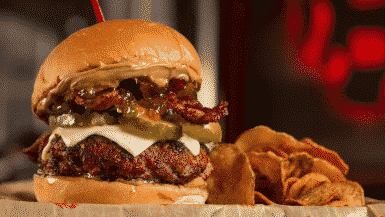 Order at the counter, grab a cocktail and get ready to dig in. 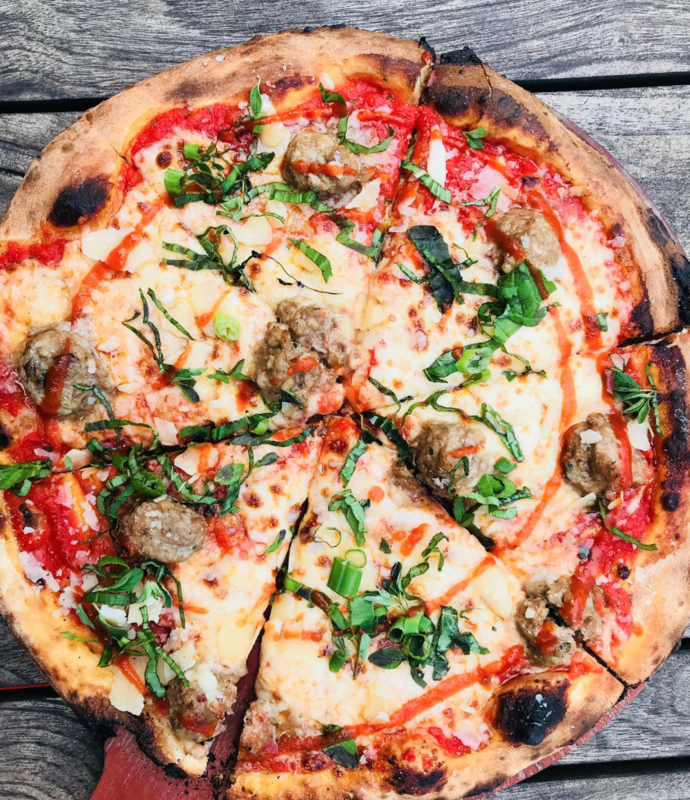 Order The Swine: Tomato Sauce, Pecorino Romano, House-Made Sausage, Slab Bacon, Molanari & Sons Pepperoni, Aged Mozzarella, Basil. Check out the 50 most Instagrammable states in the USA ranked. 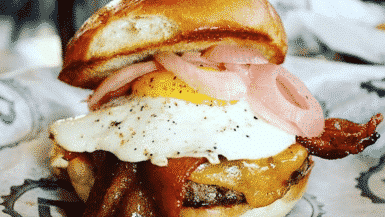 Or check out the 50 best burgers in the USA. Going strong since 1996, this is a local favourite – you’ll more than likely have to wait a little while for a table, but Moose’s Tooth is also a microbrewery so you can have a nice beer while you wait. 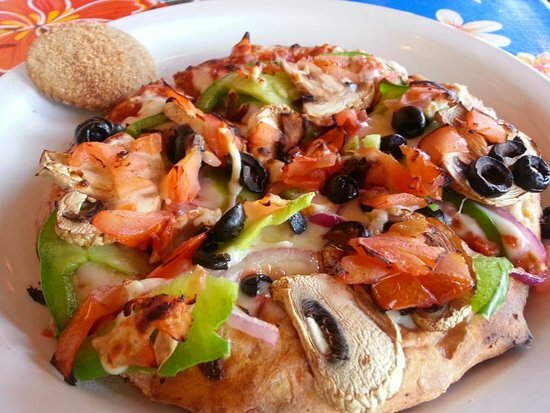 The pizzas here come with creative toppings and are hand-tossed, stone-baked and made from scratch every time. Perfection. 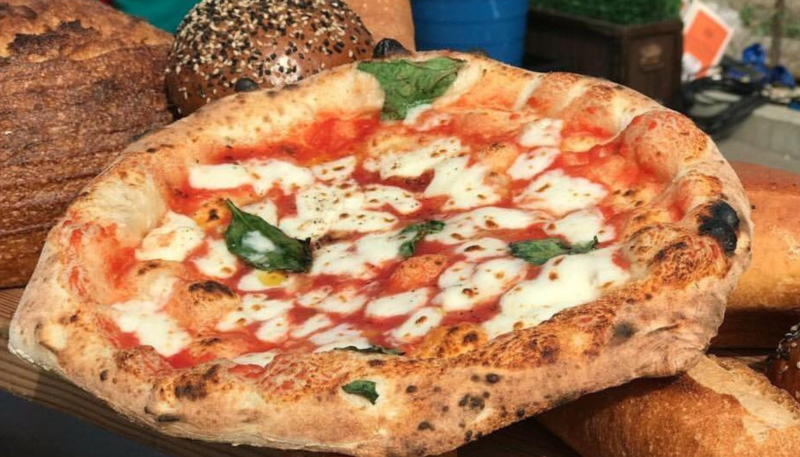 It’s all about the simplistic beauty of the Margherita here, as ingredients are so good that this pizza is an instant classic. 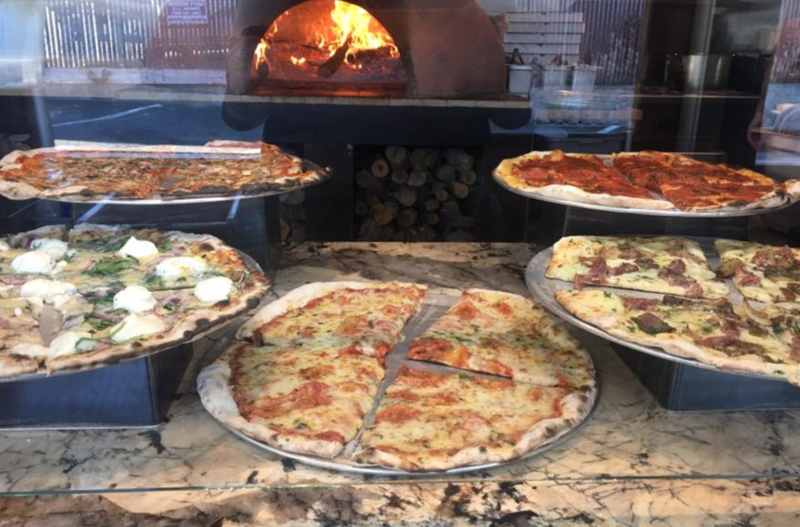 They use San Marzano Tomatoes and Double “00” Flour for their homemade dough, and House Made Mozzarella on every pie – just like you’ll get in Naples. Why go to Southern Italy when you can find the same flavours in Little Rock? ZAZA does perfect pies cooked in a wood oven. 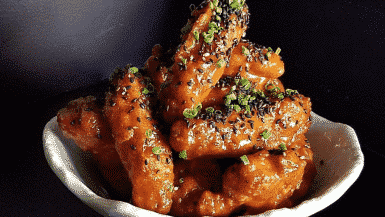 Their finger-licking tomato sauce is made with just five ingredients: imported San Marzano Tomatoes, extra virgin olive oil, locally grown basil, Kosher salt and just-cracked pepper. 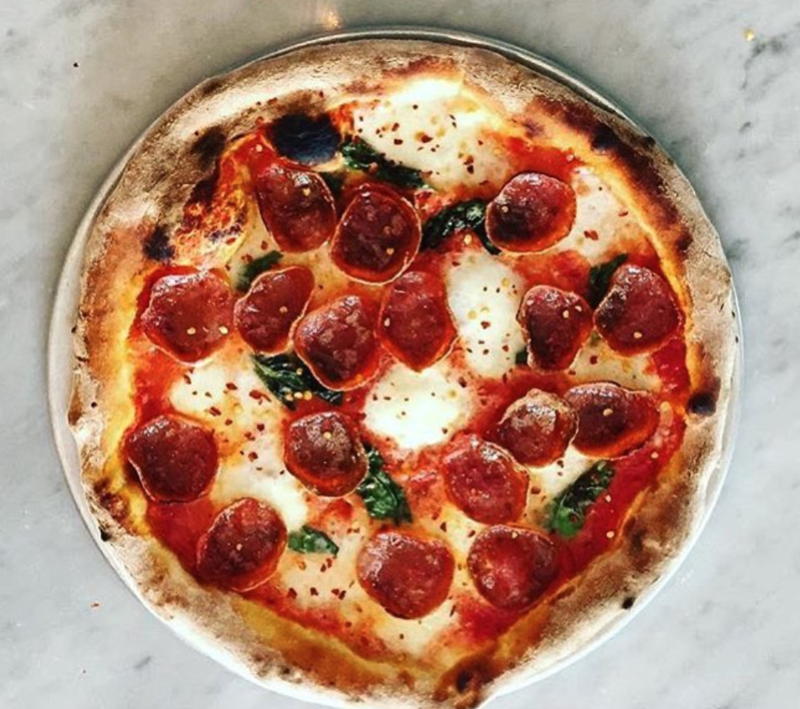 This West Hollywood neighborhood fave serves up authentic italian pizza from a 100 year old recipe, passed down to Chef Vito Iacopelli. 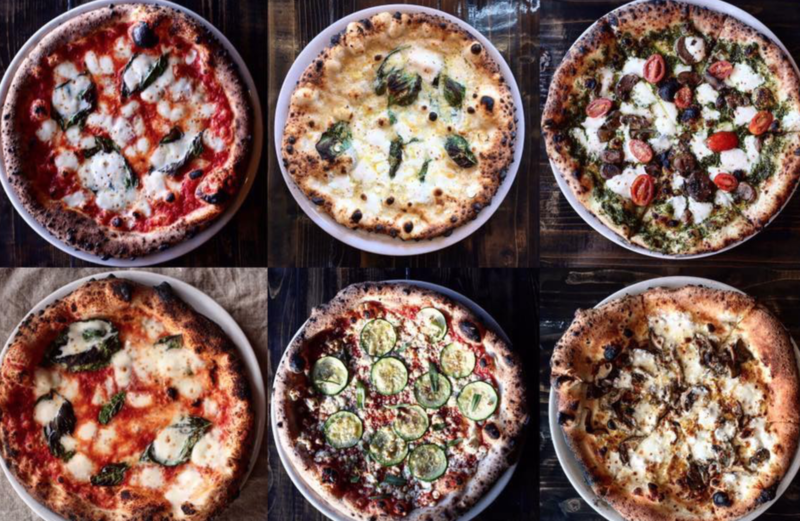 The pies here have everything you want: charred dough, rich passata and the best Italian toppings. They also do an intriguing low GI dough that has 24 grams of protein and is “low carb” – very LA. 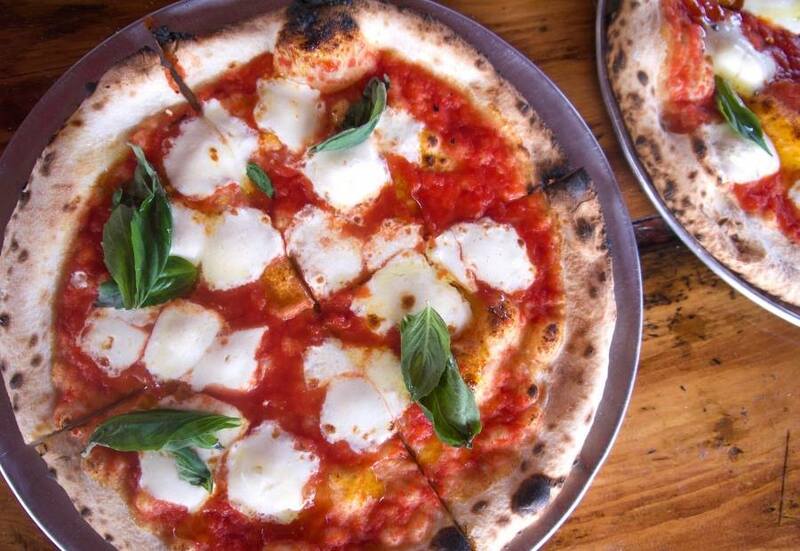 Purely fantastic Neapolitan pizza, cooked in a handmade brick wood-fired oven to a blistering 800 degrees. 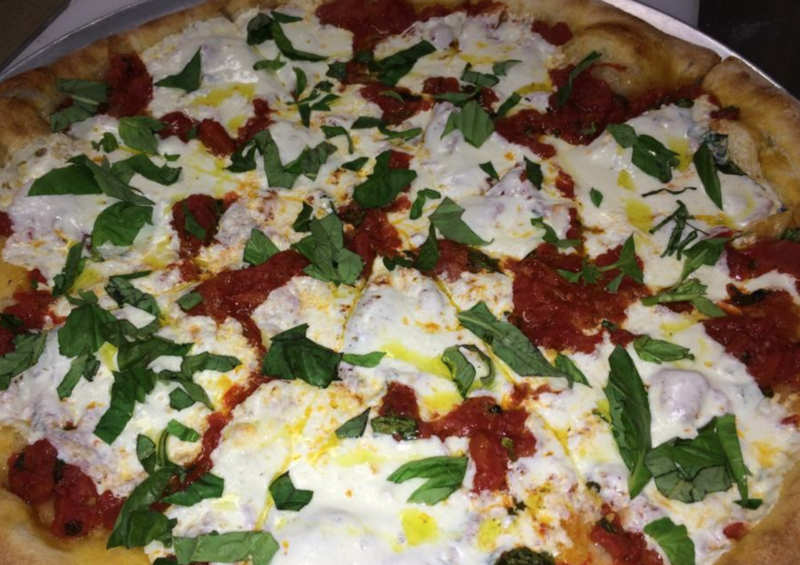 These are the kind of pizzas you want to eat every single weekend – and when they’re as good as Duca’s, we won’t blame you if you do. As the oldest pizza parlour in Connecticut, Pepe’s was founded in 1925 and is still family-owned. 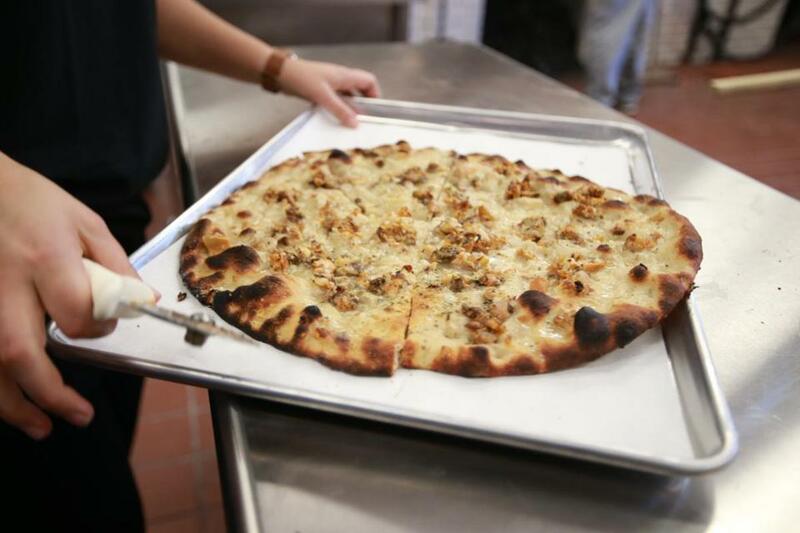 Their White Clam pizza is famous country-wide and has topped many a list of the best pizza in the States. With fresh littleneck clams and grated Parmigiano-Reggiano, it’s a beauty. This popular pizza joint in Trolley Square is the place to go to when you want a classic, Italian-American pie. Rich tomato sauce, doughy crusts and creamy mozz combine for a pizza you’ll be dreaming about long after the last slice is gone. 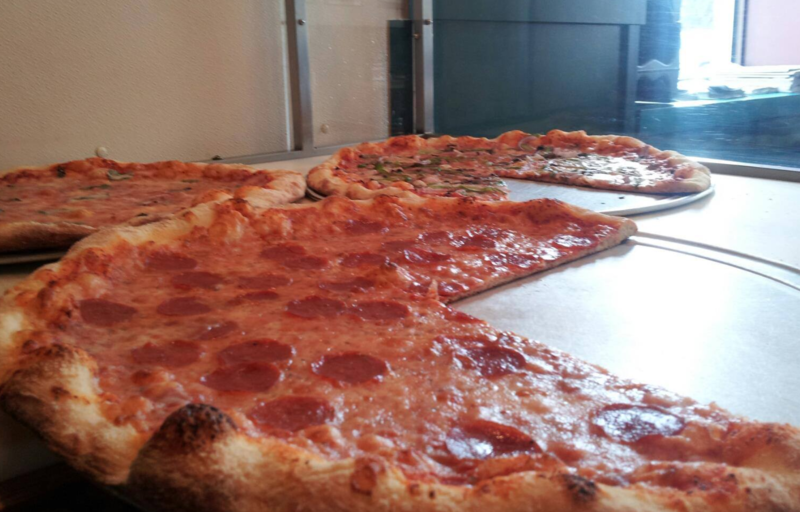 This low-key pizzeria does Italian style, thin-crust pies as well as pizza by the slice. Bubbling cheese, fragrant salamis and a great crust. Be sure to finish off with a scoop (or three!) of their homemade creamy gelato. This former East Atlanta Village antiques mall is now a haven for beer and pizza lovers. Being mainly the latter, we’re obsessed with their innovative chargrilled pizzas. Creative toppings include vegan chorizo and duck prosciutto. Delicious. 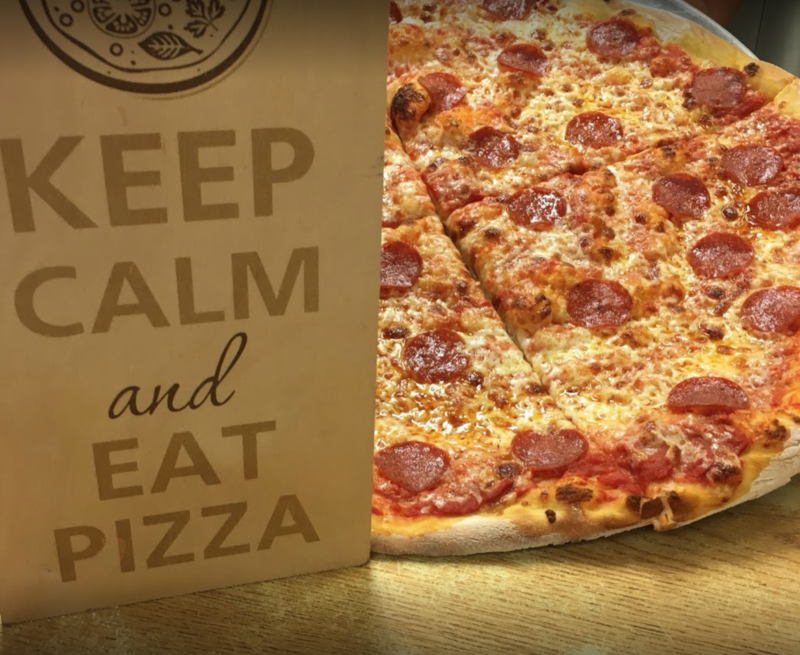 Freshly cooked, super cheesy and nicely priced, Boston’s Pizza has all the essential ingredients for a beloved local pizzeria. It’s super chill here and they also do pizza by the slice, so you can stop in for a bite to eat or go the full hog with a pie. A legit New York-style pizza place in Boise – they keep things simple here and focus on the flavour of the pizza. 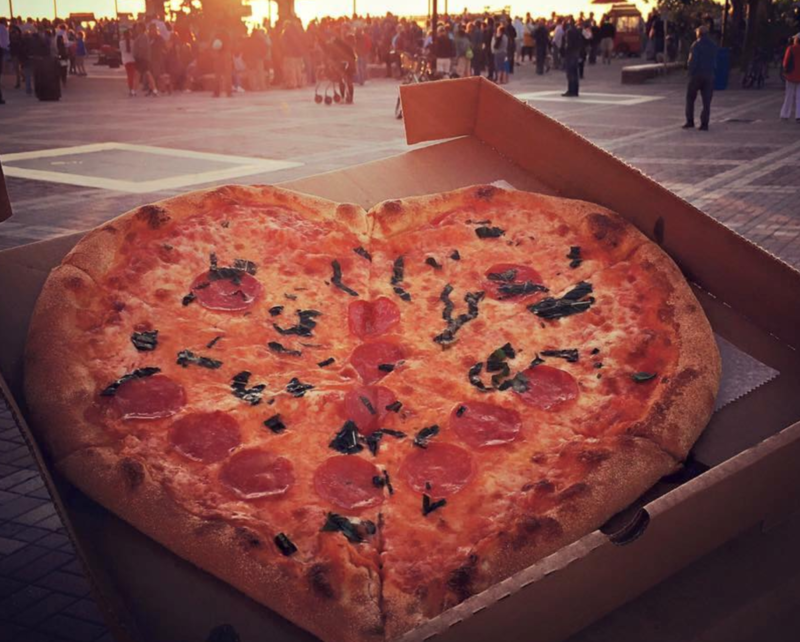 A classic NY slice or huge 20-inch pie will leave you satisfied. Guido’s knows not to mess with something already perfect, so you won’t find any whacky ingredients here, just the beloved favourites. Pies are hand-tossed and tasty. 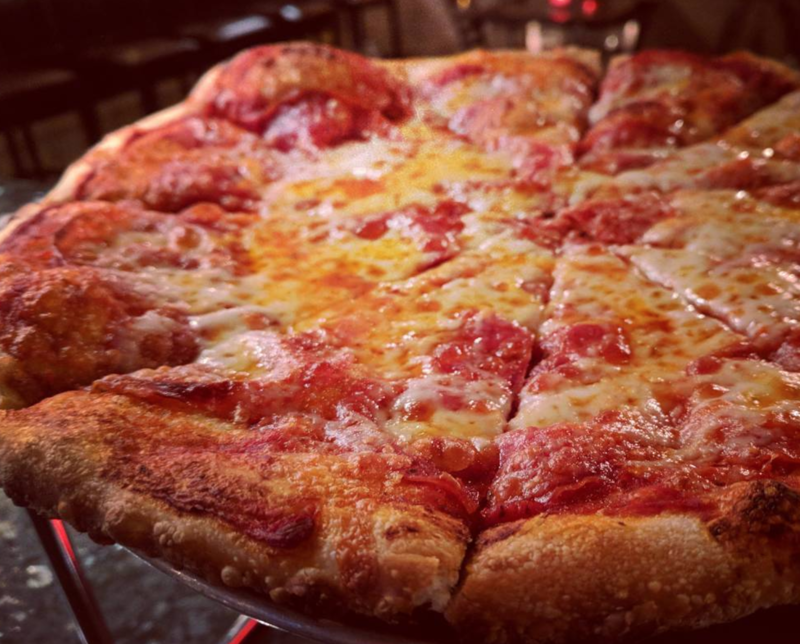 Vito & Nick’s has been around since the 1930s, so you know they’re doing something right here. That something is a Sicilian-style crunchy thin crust (sorry Chicago, but the deep dish didn’t win this year!). Come on a Friday for their signature Cheese and Egg pie. Devil by name, but absolute heaven by flavour. 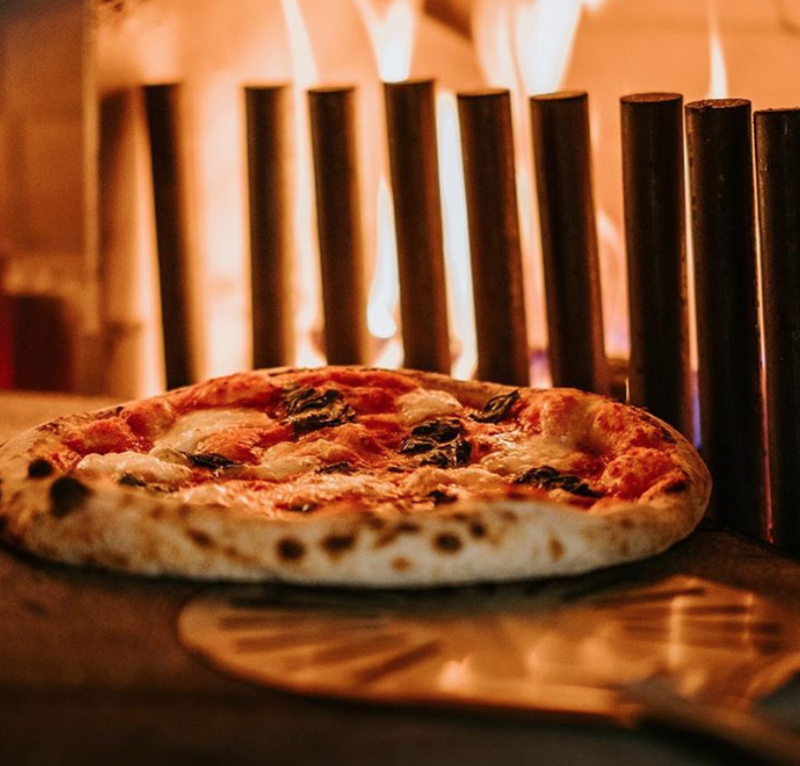 Diavola will transport you to the sun drenched squares of Italy, where pizza has charcoal crusts and bursts with flavour. 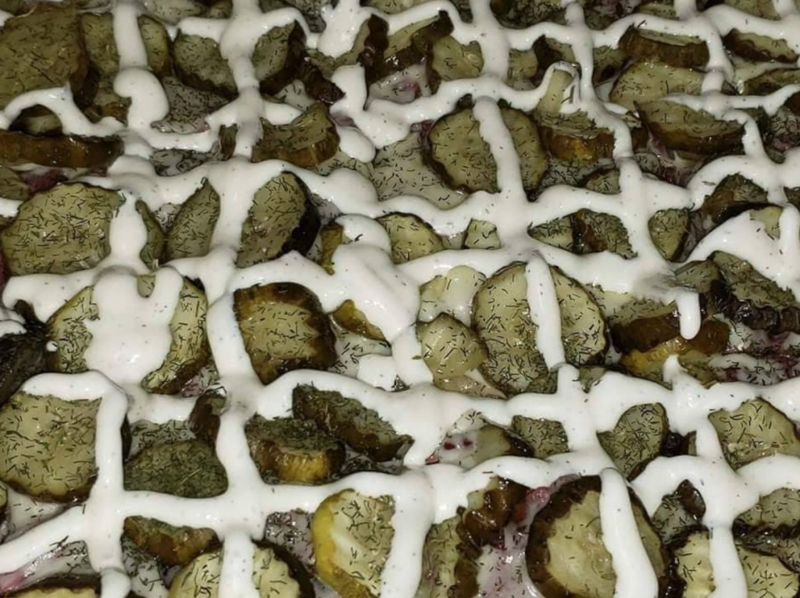 A fun and lively pizza joint that does hearty pies with regularly changing specials – right now we have our eye on their Pickle Pizza with garlic butter. Thick and mega-cheesy, they also do frozen pies so you can enjoy them at home. A beautifully stylish restaurant that also serves up incredible pizza. The pies taste as well as they look, with house specials including the Honey Bee with fresh pear, Gorgonzola and local honey. All pizzas can be made with either traditional Neapolitan crust or gluten-free crust. 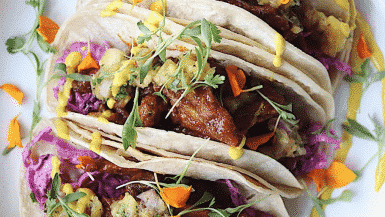 This ain’t your regular pizza joint- Dewey’s is as cool as a neighbourhood pizzeria can be. 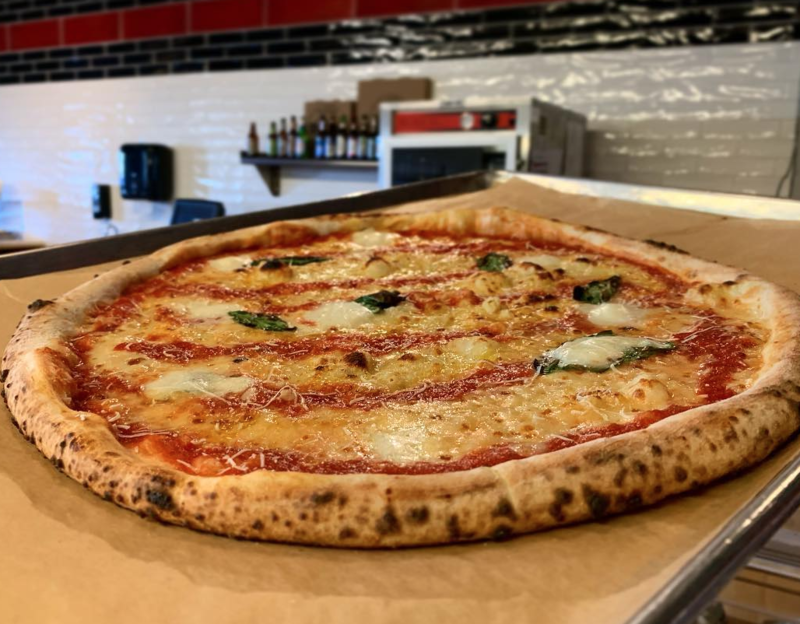 With creative pizza names (Big 7 faves include the Edgar Allen Poe with Fontina, Kalamata Olives and Goat Cheese), they dish out droolworthy pies that are thrown high into the air by skilled pizzaiolos. This ingredient-driven craft pizzeria in NoLa fires out beautifully blackened thin crust pies in a very pretty setting. 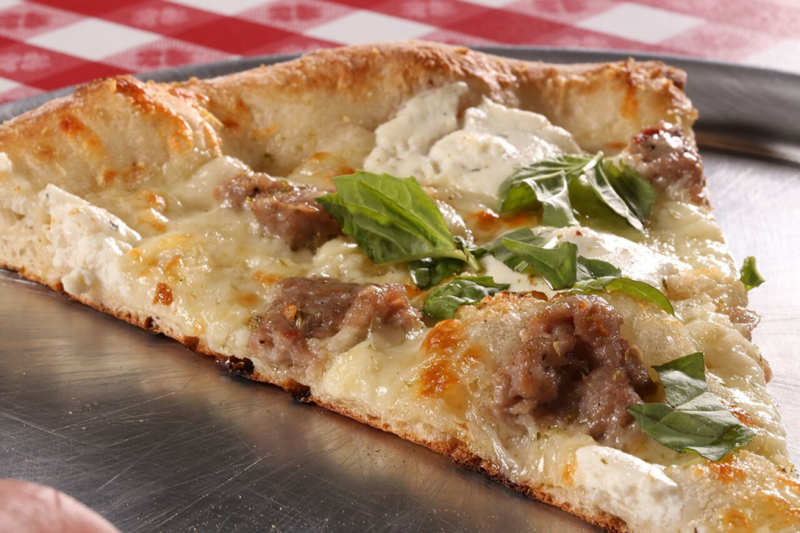 One particular stand out pizza on the menu is their Lamb Sausage with Kefir Feta, Roasted Onions and Oregano. Think traditional Italian style with a modern American twist. 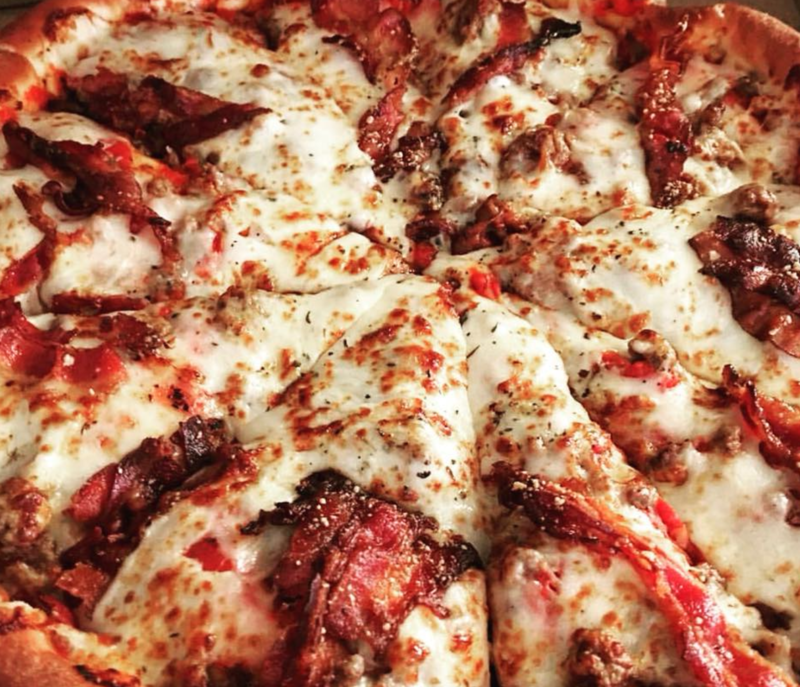 The Cabin has been serving hand-tossed pizza to the locals of Bath for over 40 years, and shows no sign of losing its reputation as the best pizza in all of Maine. The rustic nautical-style restaurant is perfect for a low-key night out. 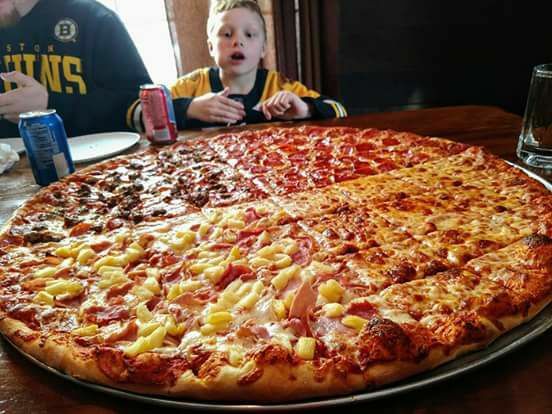 Stuff your face on their 28-inch Party Pizza if coming with a group. This award-winning pizza spot does coal-fired, square pizza. They taste so good because the dough is kept nice and simple: sourdough crust made with 200-year-old starter, organic Caputo four, sea salt, water, and extra virgin olive oil. 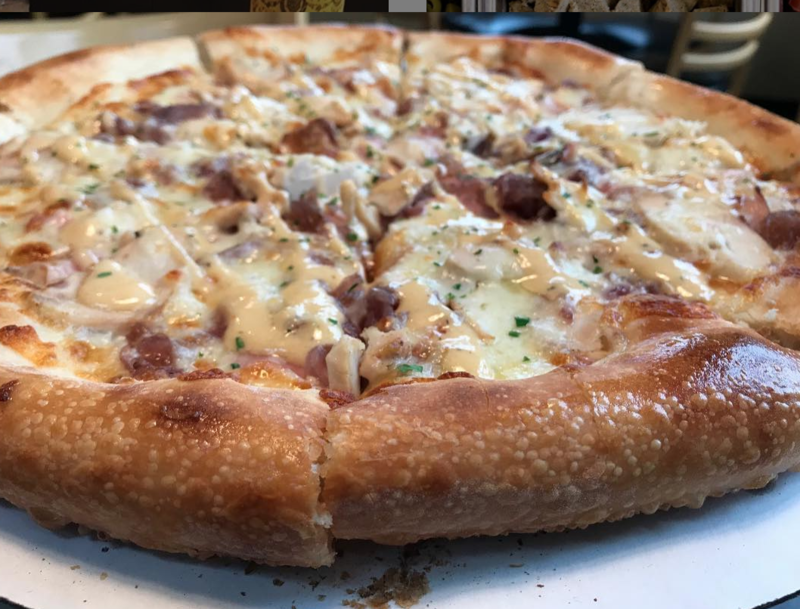 You have got to get the Bacon and Clam pie: Roasted garlic cream, clams, maple-smoked bacon, sweet onion, fresh mozzarella, Romano, Asiago, and oregano. 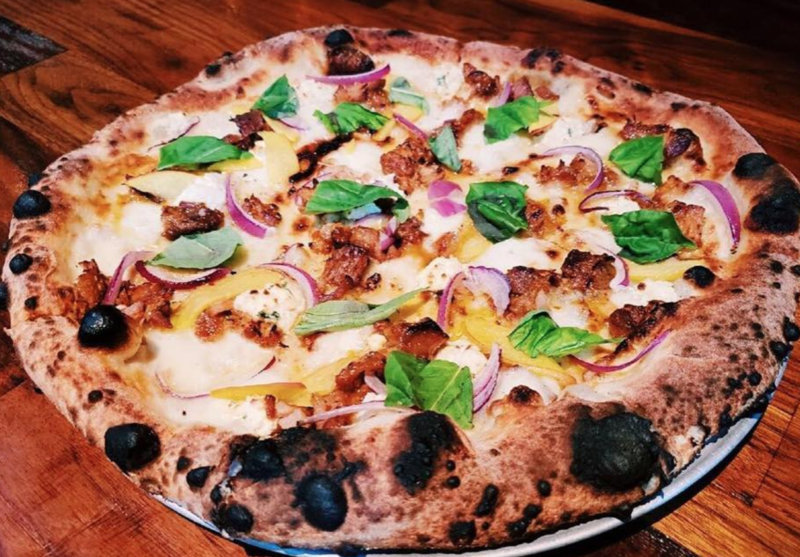 As the name suggests, this neighbourhood eatery is heavily focused on pork, with a pizza menu that makes the most of seasonal ingredients. 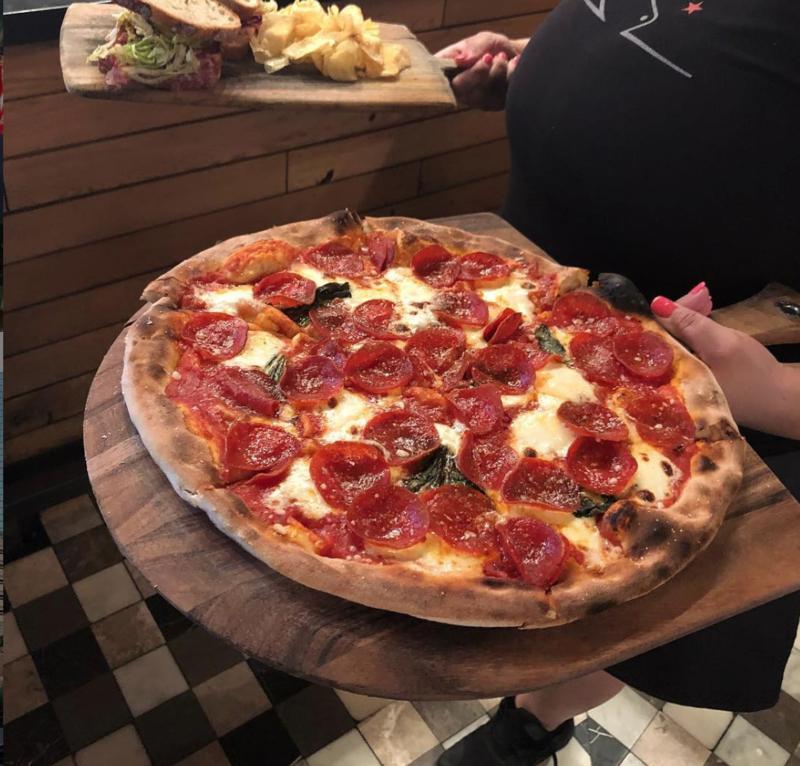 Their stone-grilled pizzas come out perfectly piping hot, and the chefs are always striving to make the dough ever better – not that there’s any room for improvement, as it’s basically perfection in a pie. The home of the Original Detroit Style Pizza, Buddy’s has been a Detroit staple for over 70 years. Simply put, it’s legendary. 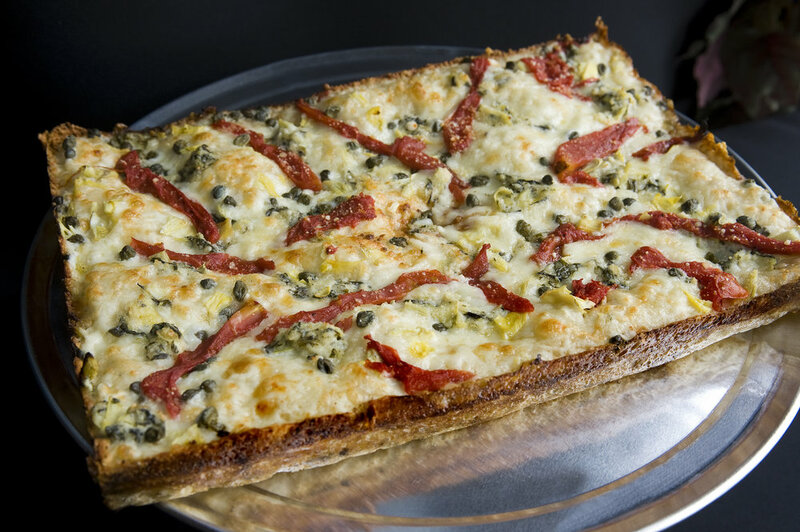 They place Sicilian Style pepperoni underneath their famous Wisconsin Brick cheese for a fantastic flavour punch. This homey first-come, first-serve restaurant adds an extra step to their pizza making that might explain why it tastes so good: they fry the dough in hot oil before baking them with their delicious toppings. 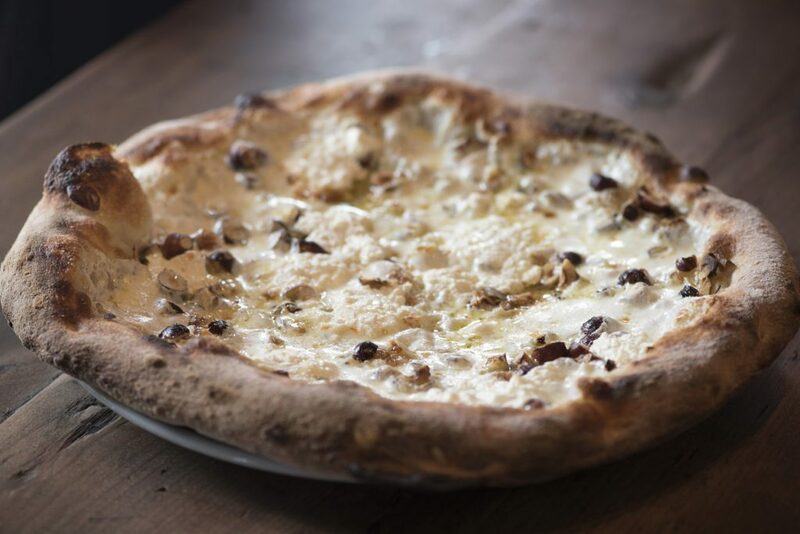 Try the Luna for a real treat – it’s with taleggio, black truffle, mushrooms, pine nuts and chives. Tony’s opened after the devastation of Hurricane Katrina, as part of Gulfport Mississippi’s Historic Downtown Renovation Project. The Gumbo Pizza here is the best coastal cuisine you’ll try: Spicy File Roux(a sauce of ground dried sassafras leaves) topped with shrimp, crab meat, andouille sausage, rustic tomatoes and sliced okra, finished with 4 cheese blend and parmesan. You’ll have to roll yourself out. This family favourite pizzeria consistently wins awards and we can see why. Pies are topped with 100% Wisconsin mozzarella, then baked to bubbling perfection. Crusts are thin and crispy, made with organic olive oil and sea salt. You’ll be licking the plate. 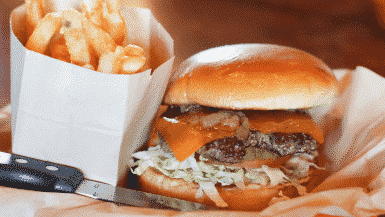 Can’t go without your weekly fix of Eugene’s? They’ll ship half-cooked frozen pies anywhere in the country. Lighthouse Pizza does ridiculously large pizza slices, not that you’ll be complaining – they taste incredible. It’s popular for their drive-thru grab ‘n’ go, so you can be assured you’ll always have time for a slice from here. Their Mac & Cheese pizza is the thing of legends. 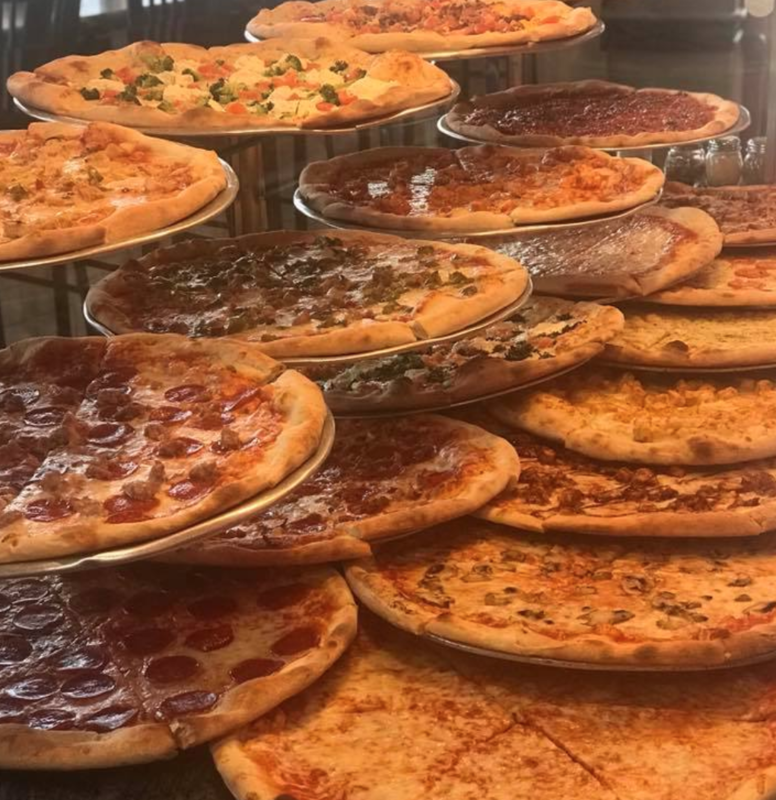 Step back in time to a classic New York pizzeria from the 1960s, as pies here are made just the way they were in the small NJ pizza joints that owner Walter grew up with. The pizzas are hand stretched and baked direct on the oven stones which creates the ideal NY crust. One for the NYC purists. 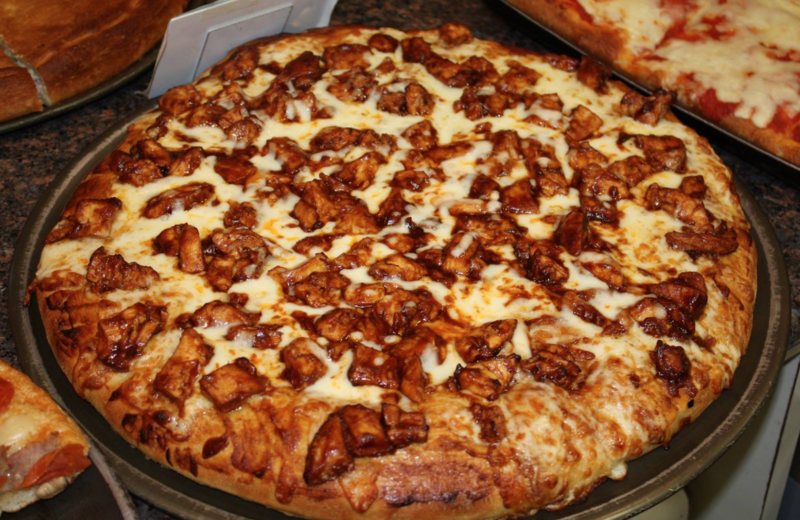 The home of New Hampshire’s largest pizza, the 20-inch bad boys here will have you stuffed for the entire day. The menu is named after cats – hence the name – with NY style crusts. Classic toppings and a generous portion of cheese makes this one of the best in the biz. Razza is SO goddamn good that even loyal pizza fans from New York city will pop over on the Path train just to get one of these pies. 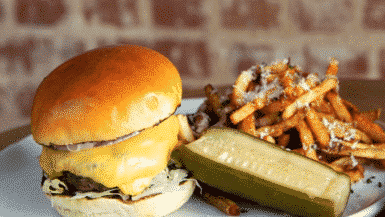 They use only local ingredients, including housemade cheeses and specially-bred hazelnuts. Crusts are old-school Italian, AKA perfectly charred, chewy and made with passion. This unique father-son pizzeria has some fairly unusual crust choices that make it special. 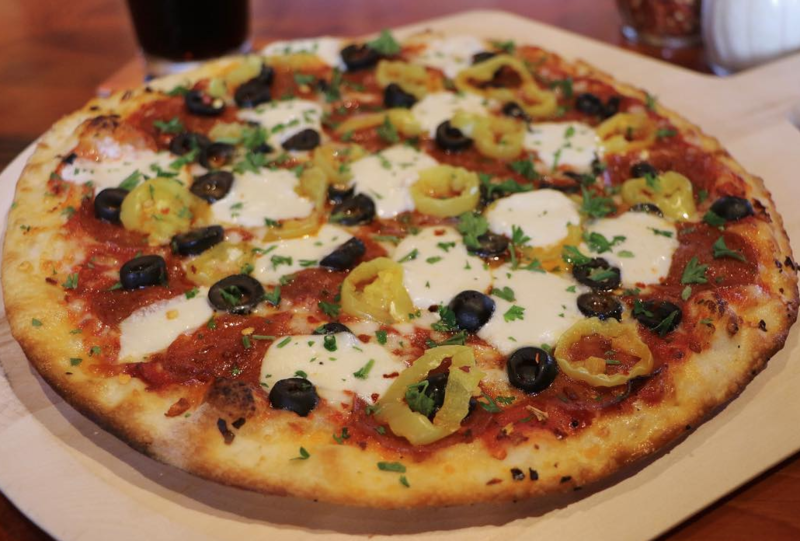 Try a new pizza creation with a choice of blue corn crust, New Mexico green chile crust, or peasant crust and discover a pie variety you never knew existed. It’s always going to be a topic of debate as to where to get the best pizza in NYC, but there’s one spot that never fails. Fornino’s woodfired pizzas come in three different ‘generations’, ranging from classic Italian to contemporary toppings such as truffle oil. The dough includes a secret ingredient of honey, that brings it to a whole new level. The view here is an extra bonus. An authentic Italian-style pizzeria does super specialty pizzas, with fresh high quality toppings and a delectable dough. 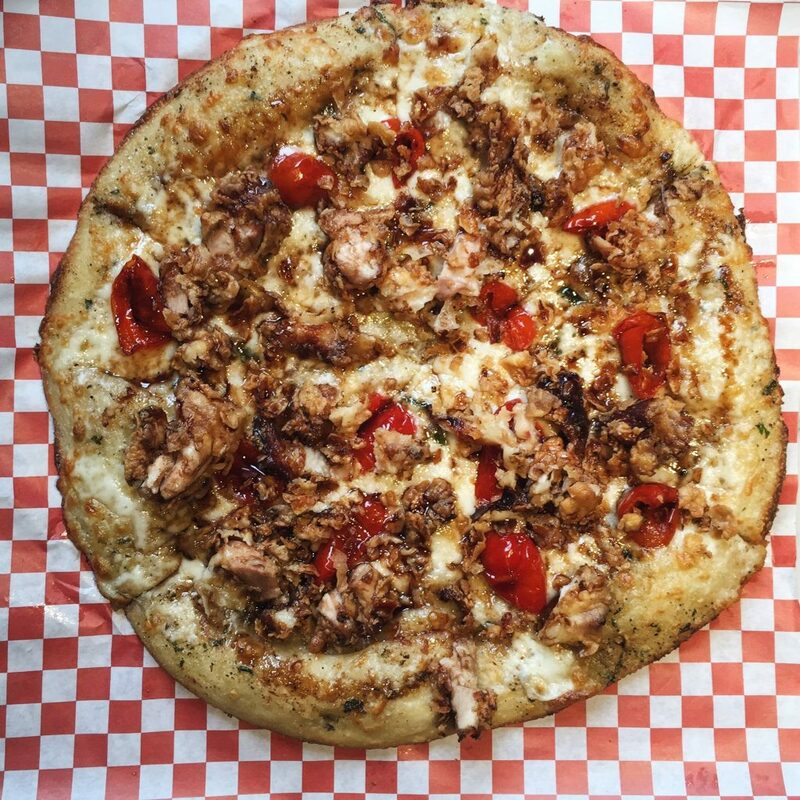 Their seasonal pizzas feature unique toppings and they also do an insanely good homemade Semifreddo to finish off the meal. A no-fuss, reliable pizza place that will satisfy you again and again with their tasty crispy pies. Toppings are hearty, the cheese is oozing, and the vibes are good. A true classic that will stand the test of time. 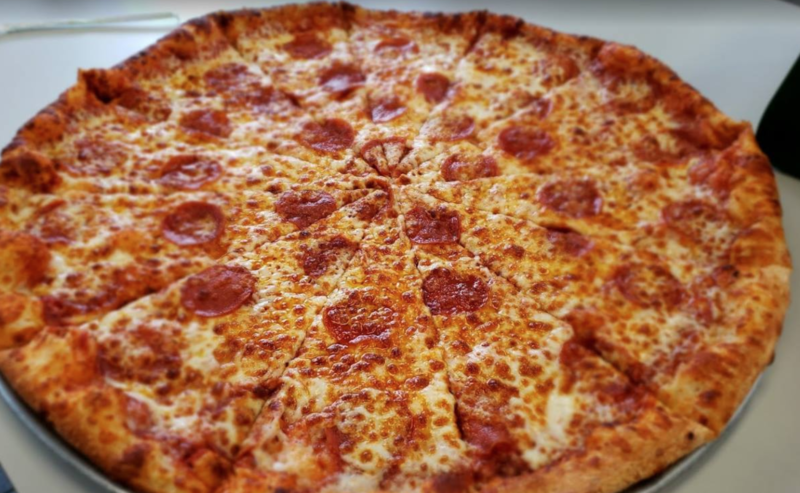 People need pizza, and this is a solid choice. The food all comes from family recipes and the authenticity shows. Pizzas come out of the wood oven as if it were Italy, with bubbling crusts and the perfect amount of char. 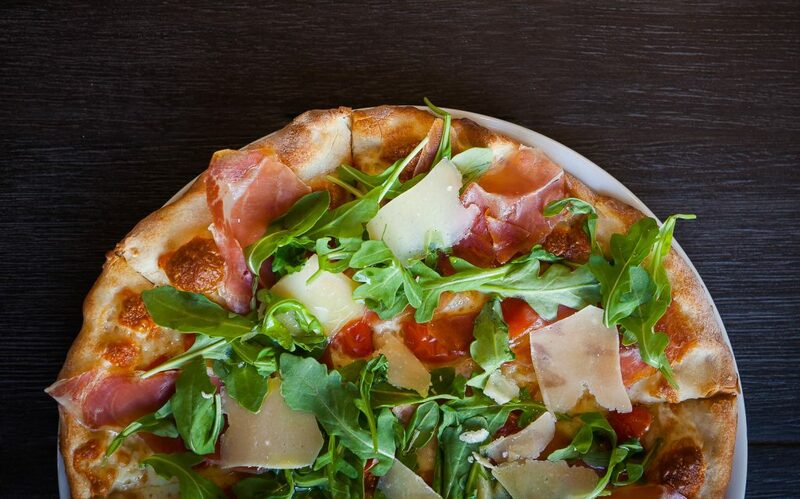 Try their fig pizza: fig jam, fontina, prosciutto, balsamic arugula, parmigiano reggiano. 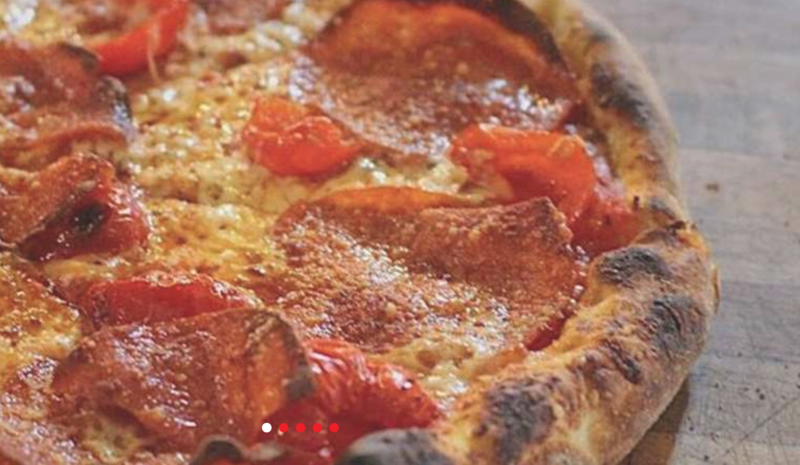 Upper Crust is an uptown pizzeria and wine bar specialising in wood-fired, thin crust, New York-style pies. There’s a laid-back Napa Valley vibe and the pizza toppings include a mouthwatering balsamic glaze, truffle oil and fig preserves, alongside the usual suspects. These guys magically churn out perfect 18-inch pies from an electric oven – no mean feat. The pies are real East Coast style, thin and crispy with nicely spread toppings. 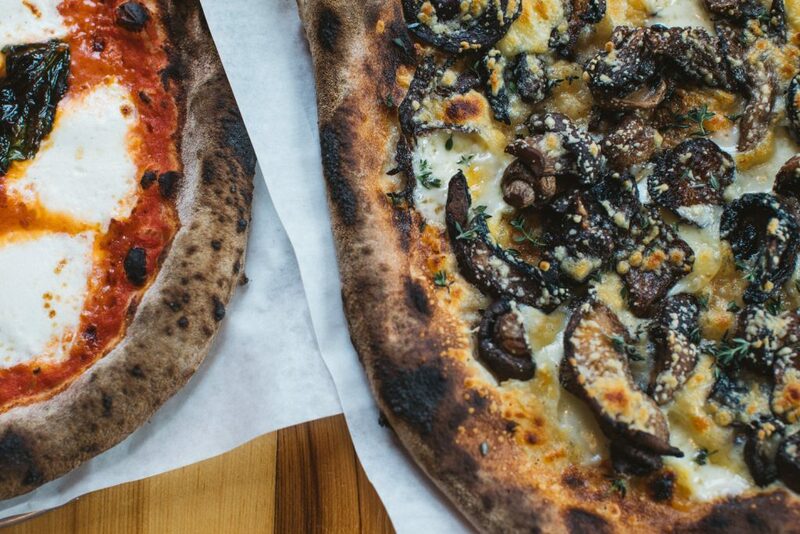 Spuntino serves up wood-fired pizzas, fresh and fast. Tomato base made from San Marzano tomatoes, beautifully chargrilled dough and premium toppings make this the best pizza spot in Pennsylvania. 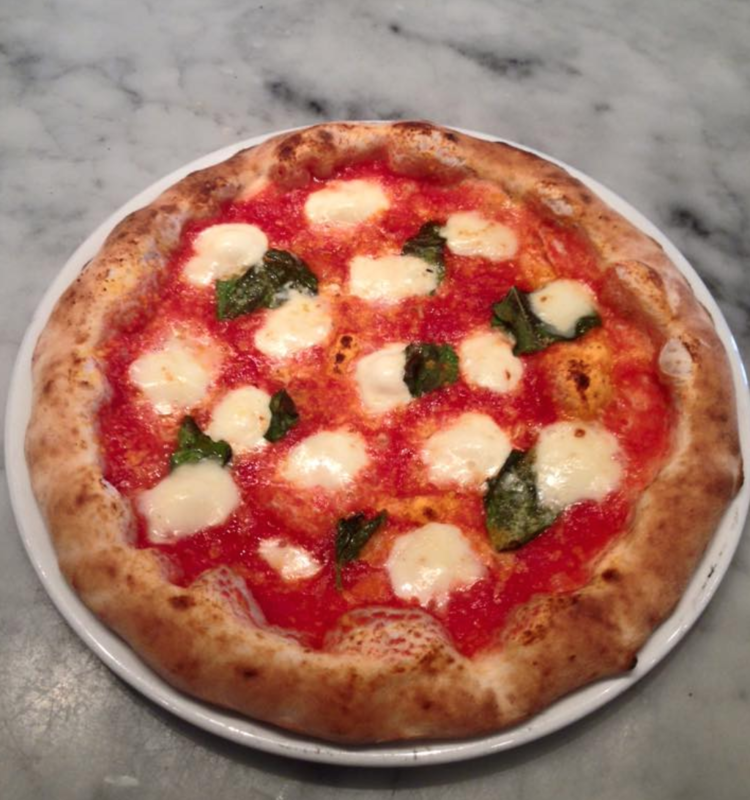 The Regina with mozzarella di bufala, pecorino romano, and basil is an absolutely classic choice. 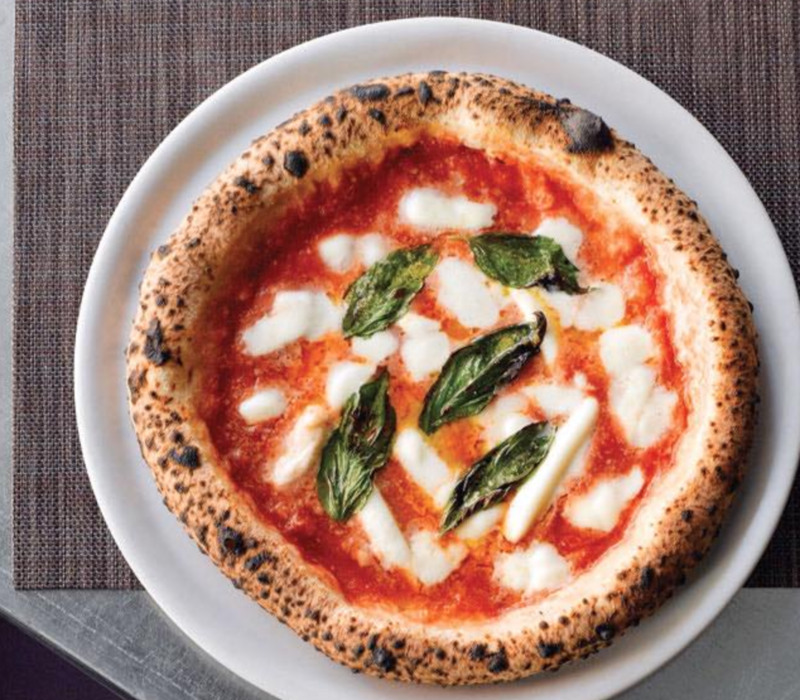 Figidini offers authentic Neapolitian pizza. The stylish restaurant is owned by chef Frankie Cecchinelli, who grew up making Italian pizzas in his family restaurants, and his wife Kara. The wood fired oven and wood fire grill are in pride of place in the open kitchen, so you can watch all the action. Ducatis is renowned in Myrtle Beach for its top-of-the-range Italian cooking and cosy atmosphere. Choose from a traditional Sicilian style or go for one of their gourmet pizzas – the white thin crust pie with Pecorino cheese is popular. 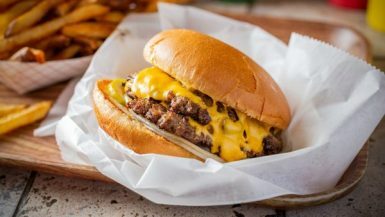 Dough Trader is based out of an old Tastee Freeze that was brought to Spearfish by Tom Bell back in the 1950’s and has been in the Bell family since. 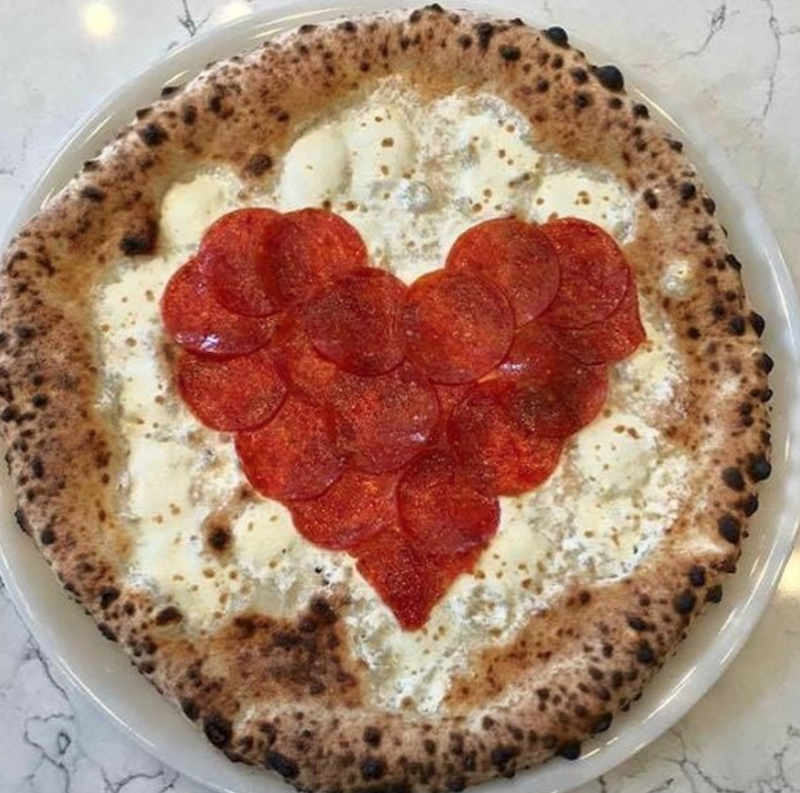 The key here is in the dough – they use a 130-year-old starter yeast for their sourdough crust and you can taste the dedication to perfect pizza in every bite. 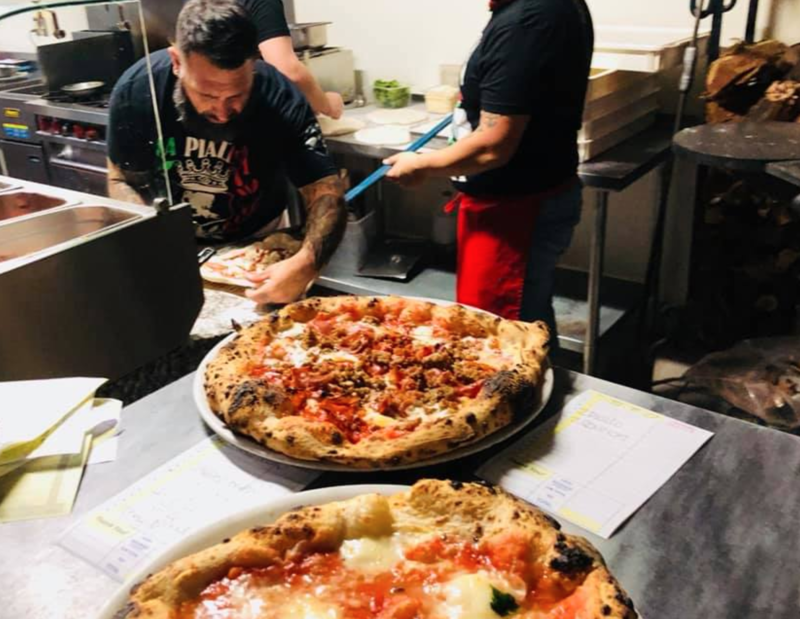 They follow the strict guidelines Associazione Verace Pizza Napoletana (VPN), so you know for sure that you’ll get an authentic Neapolitan pie here. 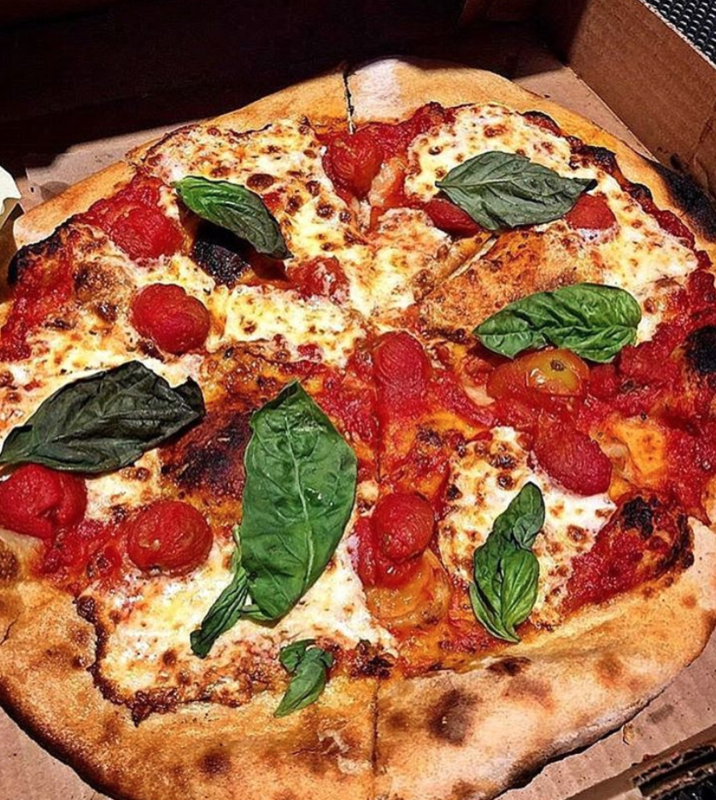 You can’t go wrong with their Margherita D.O.P, made with San Marzano tomato sauce, basil, garlic, scamorza, mozzarella di bufala, pecorino romano. It’s also BYOB, so you can splash the cash on extra pizza instead. 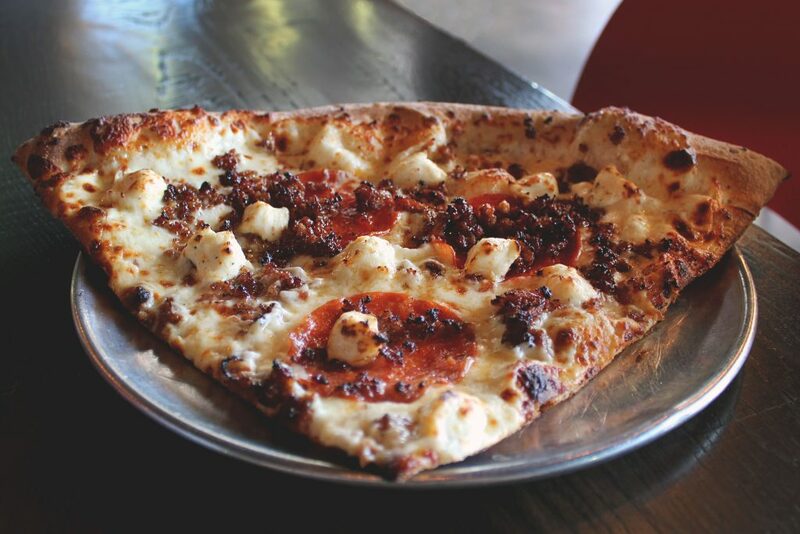 Home Slice Pizza is our go-to spot for NY style slices and pies in all of Texas. Each pie has top notch ingredients and bakes directly on 2-inch bricks in an old school deck oven. 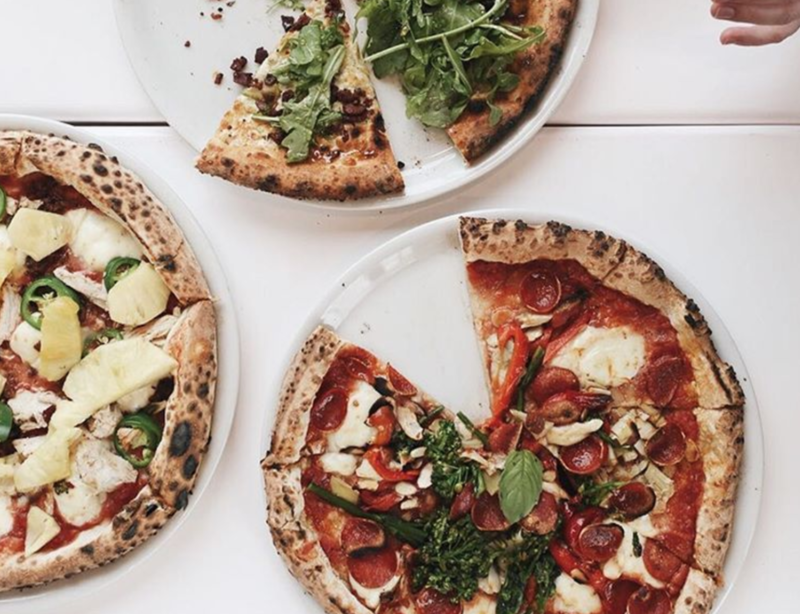 Salt Lake City’s hippest pizza parlour takes pride in its focus on thoughtfully sourcing ingredients – locally when possible. There’s just four pizzas on the menu (and one weekly special) but when they’re this tasty, you don’t need an overload of options. 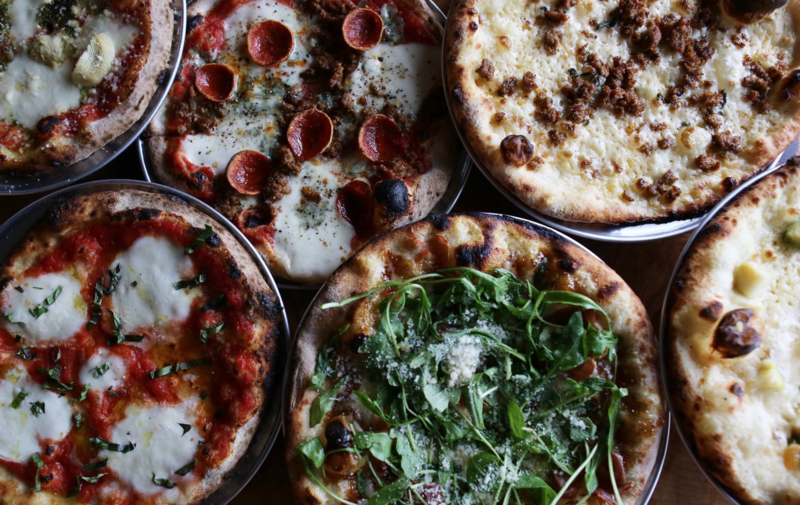 Their pies baked in a style known as “apizza,” that originates from New Haven, Connecticut. Apizza is cooked in a wood or coal fired oven at very high heat, and is delish. Folino’s is BYOB, and the greatFiddlehead Brewery is located in the same building, sso you can grab a few beers to wash down the dough. Plus, it’s dog friendly! 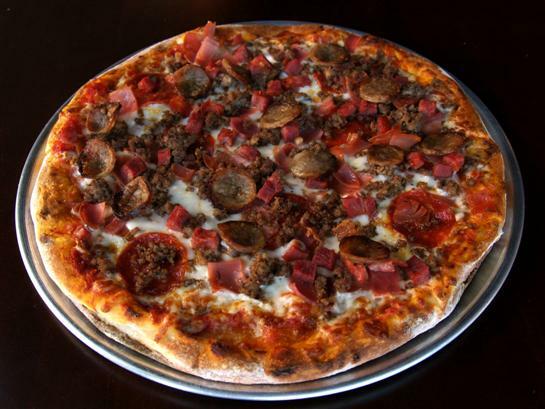 Tony’s New York Pizza has been serving up award-winning pies since 1989, and are a foolproof pizza pick in Virginia. Pies are loaded with tasty toppings, the base is crunchy and the staff are friendly. All the elements of a long-lasting pizzeria. Wood fired, thin crust Neapolitan pizzas are what Veraci is all about. 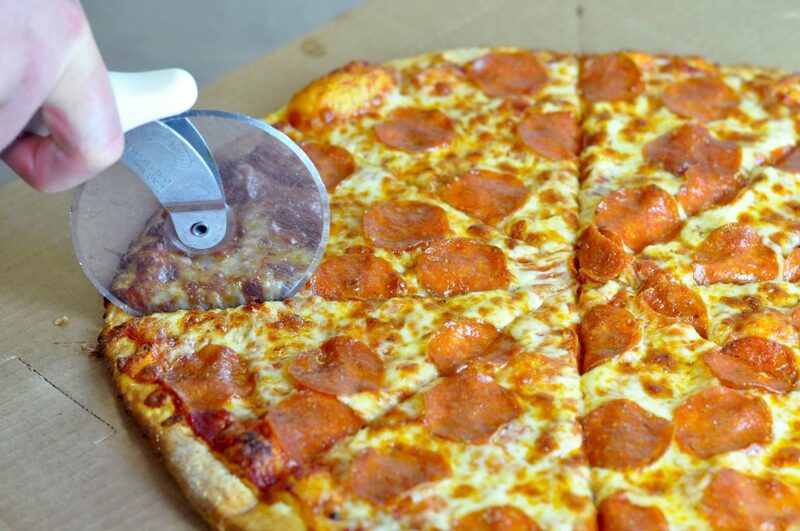 Veraci Pizza features a delicious ultra-thin artisan crust made from their secret recipe. Pizzas cook for a blistering 90 seconds in their kiln ovens, and come out supremely bubbling and smokey. Pizza just how it should be. 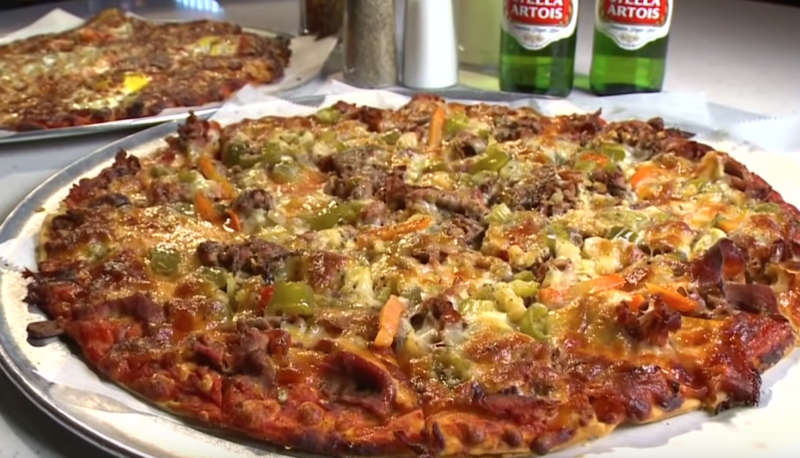 Husson’s Pizza is a classic American-style pizza joint, where you’ll get an absolutely incredible cheesy pizza feast. Gourmet Italian it ain’t, but that’s what we love. Sometimes only a big loaded pie will do the trick, and there’s no better spot than Husson’s. 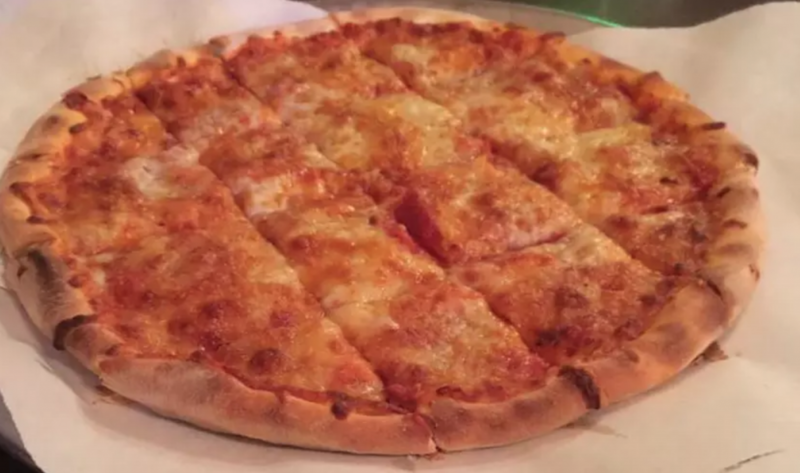 The pizza here is made using 100% real Wisconsin mozzarella shredded fresh daily, topped with fresh produce, on their delicately crafted pizza dough that’s made fresh every day by Christianos’ bakers. 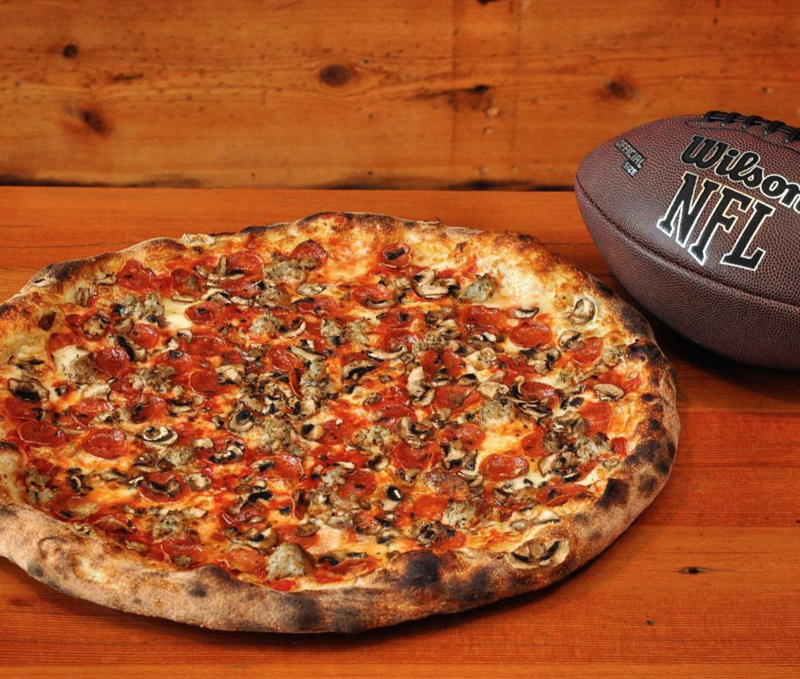 Try the Dad’s Special: Mozzarella cheese, Italian sausage, pepperoni, & mushrooms. This pizza parlour has been in the family since the 1950s, and the passion put into every slice clearly shows. Everything is homemade, fresh and SO good. There’s also more than 350 craft and imported beers from all over the world to wash down the pies. Bliss. This is a perfect place for a casual night out on the town. 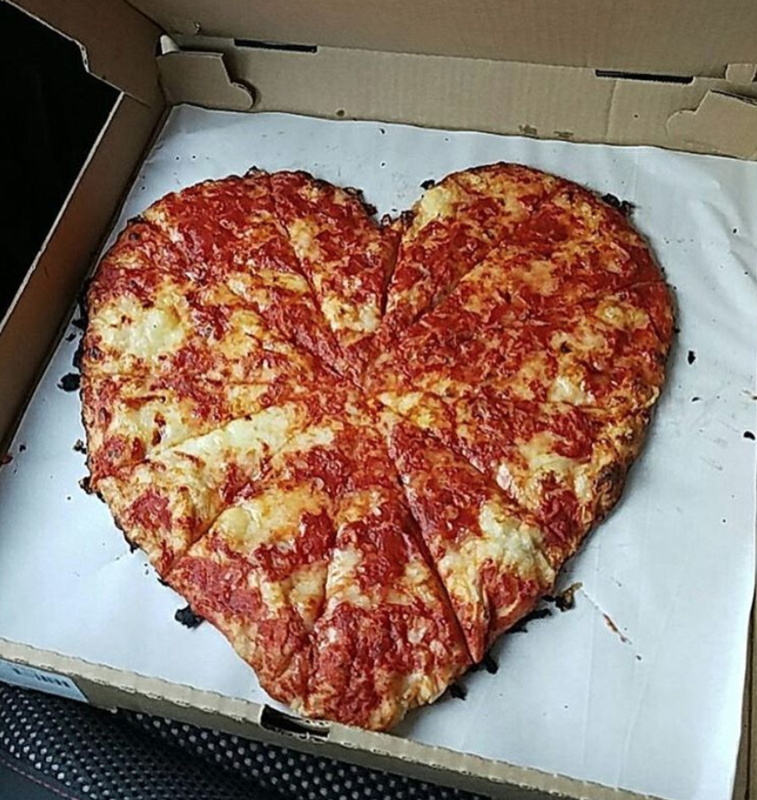 Thank you for choosing Tony’s New York Pizza as your favorite pizza place in Virginia! We’d welcome any of your readers who visit the Northern Virginia area. I can’t speak for any state other than West Virginia but obviously you haven’t had many pizzas in WV. Husson’s is a little local chain. It’s ok but not close to the best in the state. Go try Evaroni’s in Ceredo or Backyard Pizza in Huntington. As a 40 year resident of the state…those are the two best I’ve had and it’s not even close. 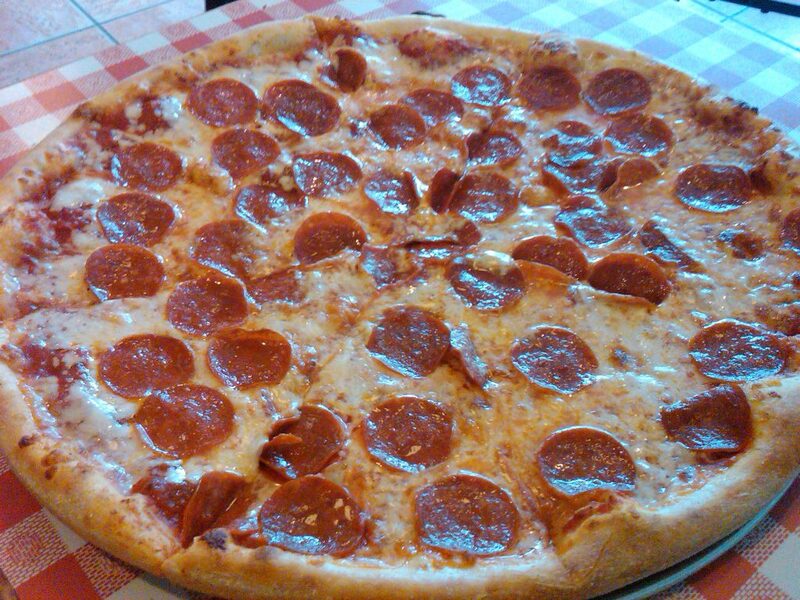 Honorable mention…Pizza Place in Parkersburg is pretty awesome too.